A fire broke out at Home of the Hoagy. 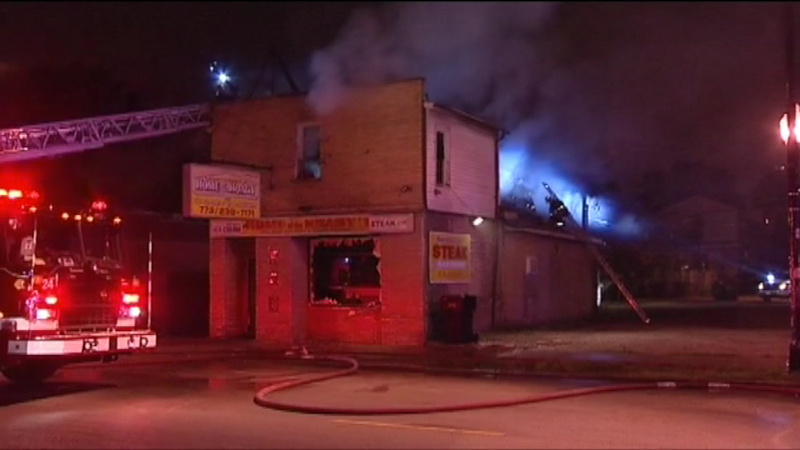 CHICAGO (WLS) -- A fire has badly damaged a popular restaurant on Chicago's South Side, police said. Investigators are trying to figure out what sparked flames Thursday night at the Home of the Hoagy on near West 111th Street near and South Throop Street in the Morgan Park neighborhood. The two-story building has serious damage on both floors. No people were inside when the fire broke out.